Designed with the athlete and active lifestyle in mind, the NuForce BE Sport3 are crafted from aluminum and polycarbonate and weigh just 13g, standing out in the sports headphone segment due to its design, light weight, and durability. Fashion also meets function in this wireless headphone, with a sleek design and multiple color options for ear tips and wings. 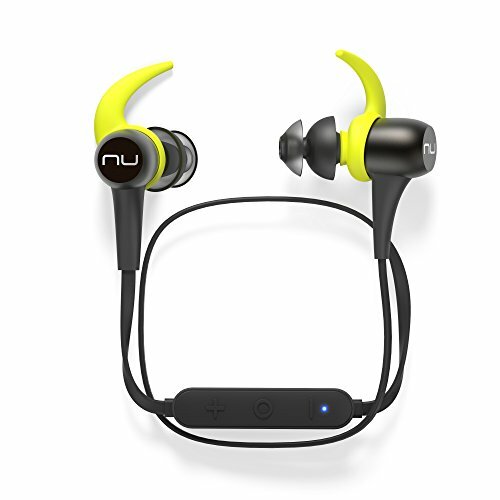 With an IP55 water, sweat and dust resistance rating, a 10-hour battery life, and AAC and aptX audio compatibility, the NuForce BE Sport3 deliver incredible audio and are ideal for strenuous activity. Long Battery Life: Users can continuously use the headphones up to 10 hours without recharging. Weather Resistance: With an impressive IP55 weather rating, the headphones are water and weather resistant, ensuring protection from rain, dust and sweat. The newly patented and innovative SpinFit TwinBlade ear tips are designed to provide optimal fit and comfort. If you have any questions about this product by NuForce, contact us by completing and submitting the form below. If you are looking for a specif part number, please include it with your message.